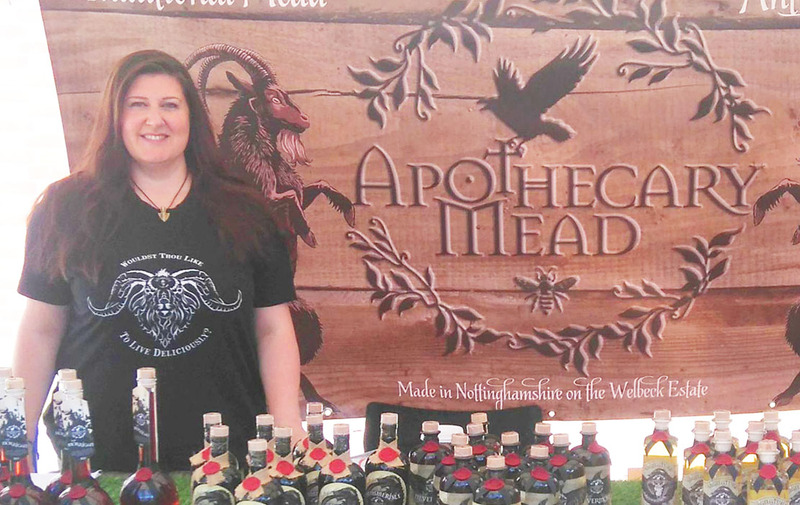 The first woman in the UK to make mead commercially has secured support from Launchpad, the Sheffield City Region business support programme. Alison first balanced her mead-making duties with working full time, but like many new entrepreneurs, she felt isolated and when she wanted to upscale her business, was unsure where to turn to get the support she needed. After spending time researching the business support available in her area, Alison turned to her local council where she was introduced to the Launchpad programme; a Sheffield City Region wide initiative which delivers free-to-access business advice, workshops and mentoring to entrepreneurs and start-up business owners. Alison worked closely with a dedicated business advisor at Launchpad to develop her business plan, whilst also learning about environmental and health legislations, marketing and digital growth via a brand new website and harnessing social media. Brewed using honey from the Wellbeck Estate and with a pledge to support British bees and place emphasis on ethical, eco-friendly production, Alison’s products can now be found as close as Doncaster and Nottinghamshire and as far as Whitby, York and Glastonbury. Apothecary Mead is now also receiving international export enquiries, particularly within Germany and the USA. Alison said:“I have always had an interest in history and I was particularly fascinated by medicinal and aromatic herbs which were used in the production of mead in 5700 BC. Currently, there are only five women in the world who make mead commercially, and I am proud to be one of them! Fiona Humpage, Business Advisor, Launchpad, said:“After working with Alison, there’s not much I don’t know about mead! It’s an achievement for Alison, as well as myself as her business advisor, to see how far she has come since brewing mead at home three years ago, to potentially exporting a product with historical significance across the world. Launchpad is the Sheffield City Region Growth Hub’s key business support programme for new business. Financially supported by the European Regional Development Fund and delivered by local authorities within the Sheffield City Region and the Prince’s Trust, the programme provides free help and support to budding entrepreneurs in the City Region who are thinking of starting their own business, or have started trading within the last two years.